This standard is an equipment testing standard by the United States Department of defense. It describes in detail testing procedures designed to determine how equipment holds up under a variety of conditions the equipment may encounter while being used, transported and stored. These conditions include temperature, impact, vibration, humidity, and more. Note that while the standard is extensively used for testing of rugged computing equipment, it was not specifically designed for that type of equipment. As a result, some tests are ambiguous when applied to computing equipment. With MIL-STD 810, which many consider as the rugged standard, it may be more appropriate to think of it as a set of environmental standards, rather than a single specification. How to Know if a Computer Meets MIL-STD 810? Which MIL-STD 810 testing methods were used? Was testing done by an independent facility? Has this computer passed field verification trials, or been successfully proven on a mission? If you have questions about Crystal Group’s product testing or our rugged product line, please contact us or call us at: 877.279.7863. "All the folks at Crystal Group who played a role in delivering an Intel server to us, showed an exceptional amount of creativity and teamwork." "Customer service is excellent, like the feed-back-loops built into the service." "The Crystal team has provided outstanding service to my team at Lockheed Martin. I'm extremely impressed with your prompt customer service. Crystal strives to achieve common goal of providing excellent customer service and quality products to the end user." "Quick response, provides accurate data, works well with customer requirements." "Of the many vendors I work with Crystal always makes it easy for me to meet my requirements. A company that thinks outside the box!" "Solid products, great customer support, superb CM." 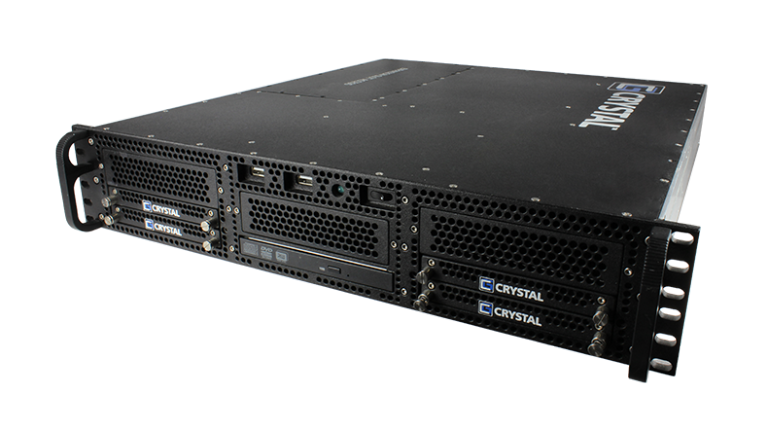 "Crystal has been excellent in addressing our concerns and addressing our custom configuration requirements." "Crystal Group has worked with our subcontracts department to remove cost from the products we purchase, as well as making sure the quality is exactly what we want." "The service I receive is fantastic. We are always asking for rushed quotes and expediting orders and Crystal Group always comes through for us. I am completely satisfied with Crystal Group so keep up the good work!" "Crystal Group customer service has always been outstanding... keep up the good work!"